The Centre provides an interdisciplinary research environment for postgraduates from a variety of academic backgrounds. It offers a taught MA and research programmes (MA; MPhil; PhD) on both full-time and part-time basis. 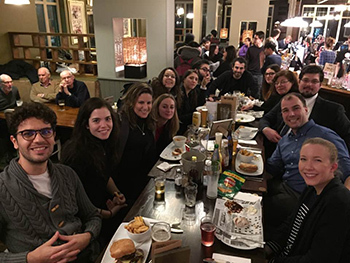 Why study the Renaissance at Warwick? 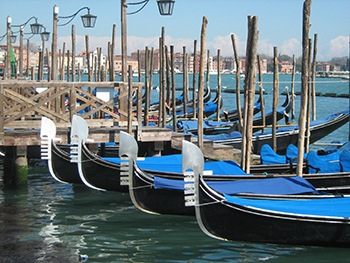 The only Renaissance MA in the UK to offer the chance to spend a term in Venice. Students study at the University's premises in the Palazzo Pesaro Papafava. Students can also spend a further three months in Paris or Venice as part of the CSR's Erasmus exchange programme. Applicants are encouraged to investigate the opportunities, check the deadlines carefully, and communicate early on with the Director of Graduate Studies so that the strongest possible funding proposal may be prepared. 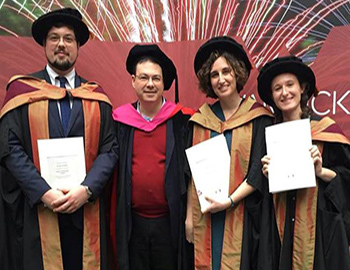 Hear from some of our MA and PhD Alumni students about their time at Warwick, the courses they studied, their research interests and dissertations and the interesting careers and interests they are now pursuing. A collaborative student-led project funded by the Monash/Warwick Alliance. The project involved postgrad students from Warwick and the Centre for Medieval and Renaissance Studies at Monash working with a local filmmaker to create three short films based on different aspects of research into the historical past. Thanks to a legacy from the late Dr Greg Wells, a mature MA and PhD student in the Arts Faculty, the Centre for the Study of the Renaissance is able to offer a number of small research awards of up to £1000. Applications for 2019 are now closed.